Amino AcidsScitec Ultra Amino - 500 kaps. Scitec Ultra Amino - 500 kaps. High-quality amino acid formulation, which thanks to the perfect and lekkostrawności aminoacid profile has a very high biological value and is the only means of an amino acid, wherein the anabolic amino acid content is approximately 50%. 146 loyalty points Your cart will total 146 points that can be converted into a voucher of 5,84 PLN. 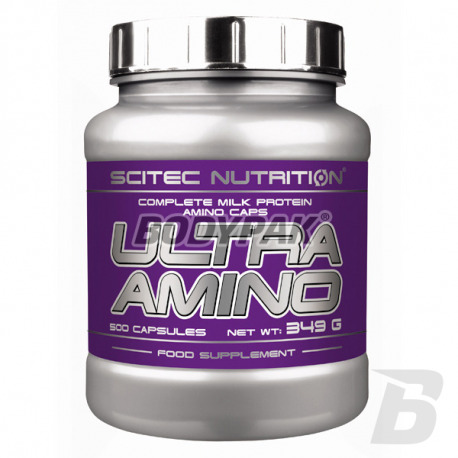 Scitec Ultra Amino - 1000 kaps. Scitec Ultra Amino - 200 kaps. 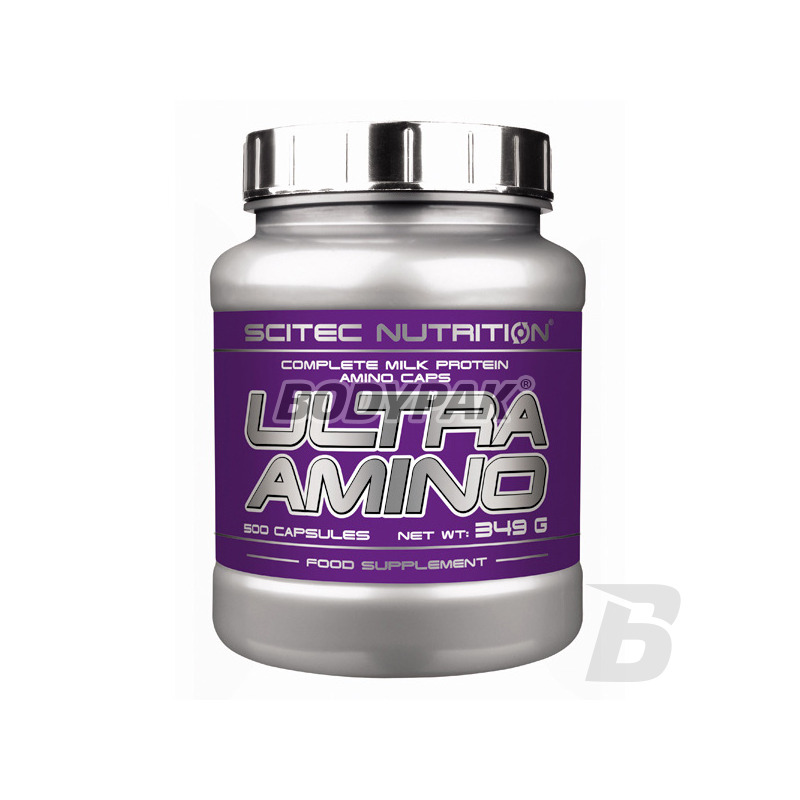 The product Scitec Ultra Amino contains 25.6% BCAA. The high content of BCAA is very important for bodybuilders and athletes, as they play a major role in the metabolism of muscles and their uses as the first organism in these processes. Ultra Amino with excellent profile and aminoacid lekkostrawności has a very high biological value and is the only means an amino acid in which the amino acid content of anabolic (eg. BCAA, arginine, glutamine and tyrosine) is approximately 50%. Scitec Ultra Amino is made from rich, complete milk protein. This is the spectrum of amino pełne- formula - inter alia - essential branched amino acids. Essential amino acids are essential for us, because they can not be synthesized by the body and therefore must be supplied in the diet. Branched-chain amino acids (BCAA) are also necessary, they account for 35% of essential amino acids in muscle proteins. Chodziłem strasznie ospały i przemęczony przez ostatnie tygodnie. Znajomy polecił mi wzbogacenie suplementacji o aminokwasy. I to był strzał w dziesiątke! Lepiej się regeneruje, mam więcej siły i ochoty na trening. Tego mi było trzeba! Activlab Amino Complex - 300 tabl. Activlab Amino Complex is a composition of amino acids of the highest quality coming min. whey protein hydrolyzate, chicken protein hydrolyzate, egg albumin and whey protein concentrate.